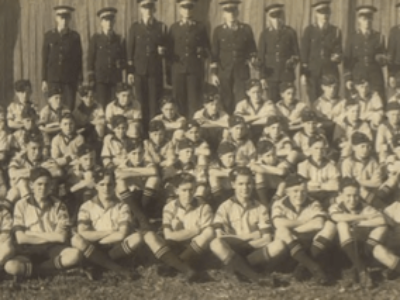 The Australian Air League History Committee was originally formed by the late Sqn. Capt. Geoff Sadler and Gp Comr. Tony Jackson, to collect and record the history of the Australian Air League. This committee collected a significant amount of information and artifacts such as photos and interviews (including recordings) with many former members, and produced a Souvenir History of the Australian Air League that was published for the 50th Anniversary Review in 1984. More recently progress slowed and, with the passing of Sqn. Capt. Sadler in 2006, the Committee became inactive.